Visible screws on a woodworking project should generally be avoided. A flush and tidy finish are the hallmarks of a professional and no matter your skill level, you should strive to do the same. One of the most popular tools to help hide any visible screws and to create the perfect front face joint is the pocket hole jig. 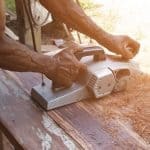 So what is the best pocket hole jig you can buy? In this top 5 review round up we have answered that very question. For our findings at a glance, head to the table below. For a dedicated pocket hole jig buyer’s guide, plus full reviews of our top rated picks, keep on reading. For fast effective results each and every time you may want to consider a dedicated pocket hole machine. For that, the Kreg DB10 Foreman Pocket Hole Jig Machine is our number one pick. (Full review below). Pocket hole jigs work in the following way. A stepped bit is set an angle that creates a recess to accommodate a special self-tapping screw fit. The angle is also designed to allow a strong mechanical joint between pieces. The self-tapping screw is set into place to the hold the joint fast. (Splitting is also minimised using this method). For extra strength you can finish the joint by applying a small amount of glue, (although this is by no means neccessary – especially if you want to be able to easily dismantle joints at a later stage). 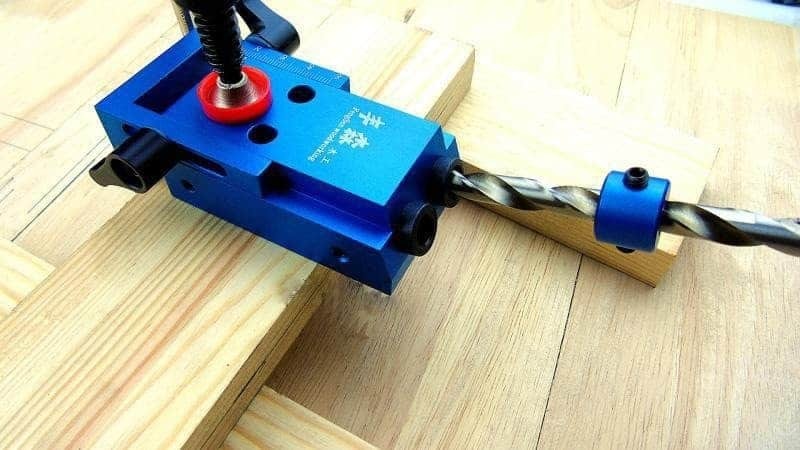 Using a pocket hole jig to create pocket screw joinery is a great option for home woodworkers because they are easy to use and the produce really strong joints. Furthermore, with a simple jig you do not need to have a bunch of other tools cluttering up your workshop. The list of joints that take longer to make, require specialised equipment or are difficult to create is all too long, (half lap joints, dowels, dovetails and biscuits – we’re looking at you). While such joints are widely used by carpenters and skilled professionals, if you working on a woodwork project at home, pocket hole joinery really is a good choice. Pocket-hole jointers also allow for more flexibility. Projects like edge joining, picture framing, or cabinet face framing can be done without glue if required. The screw joints can then be easily disassembled if and when the time comes. Another added benefit of a pocket hole jig is that they are easy to use. With little instruction you will be up and running with a jig system as soon as you get one. Furthermore, you do not need to rely on a number of clamps as you work; the screws actually hold the work pieces together for you. Finally, the strength and finish of pocket hole joinery should get a proper mention. Not only do the screws and applied glue create an extremely robust joint, the fact everything fits together so cleanly with the screws hidden out of sight, creates an end result you will be proud of. Kreg are industry leaders producing some of the best pocket screw jigs on the market. For those in the know, it will come as no surprise that a Kreg jig gets our number choice tool. The K4MS Jig Master System brings together the brand’s expertise in one excellent package. The Kreg jig k4 series has been designed from the ground up to provide premium level precision and accuracy. System features include 1/8-inch incremental settings for greater control. 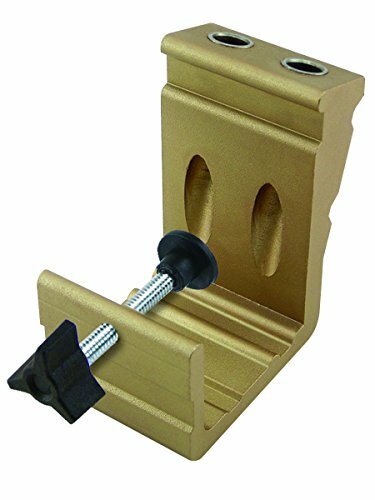 The tool is also versatile on the capacity of wood it can handle; materials 1/2-inch to 1-1/2-inch thick can be used within the K4MS Kreg pocket hole jig. The manufacturers have also unleashed their patented three drill guide fixed spacing on this particular tool. 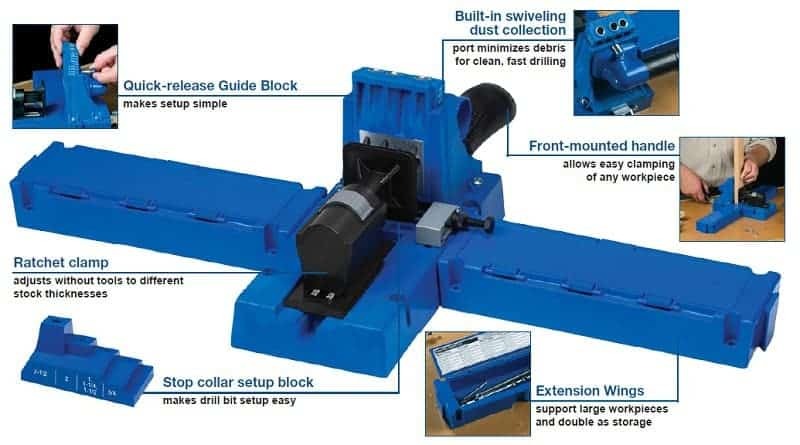 To help you maintain a clean and tidy work area the jig comes complete with a dust collection shroud. This reduces excess wood chips and aids you in that ultimate goal – a perfect, blemish free finish to your joinery. The tool also features a removable drill guide. 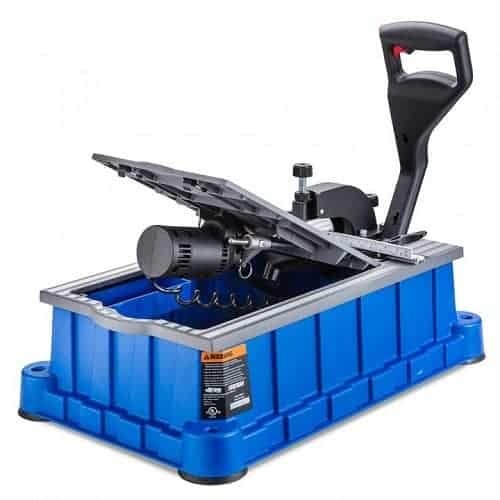 This allows you to use the K4MS jig master system with bench top bases as well as portable ones when working out in the field. This being our best pocket hole jig review pick, you also get the Kreg SK03 screw set thrown in too. 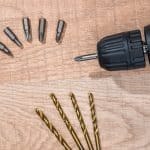 In short, you have everything you need to begin creating pocket screw joints that will take your woodworking projects to the next level. At the time of writing this is the most expensive offering from Kreg in our top 5 list. Kreg are one of the best companies on the market when it comes to pocket hole jigs. 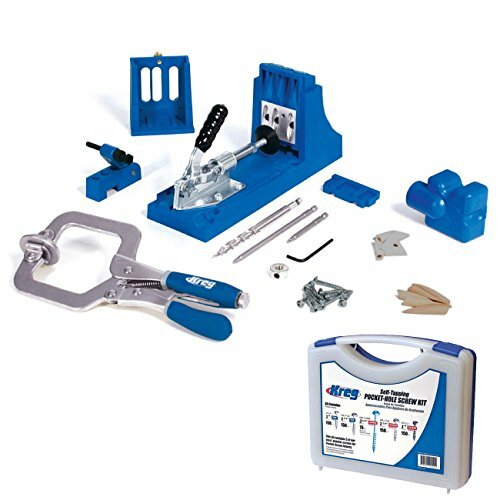 The Kreg Jig k4MS Master System is one of their most popular and accomplished products. 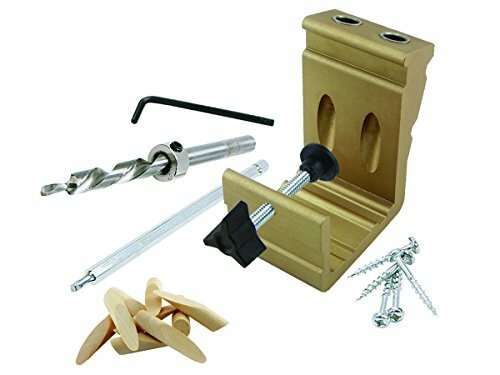 You have everything you need here to begin creating precision pocket screw joints. In our opinion this is the jig to buy. No it’s not a rigged game. 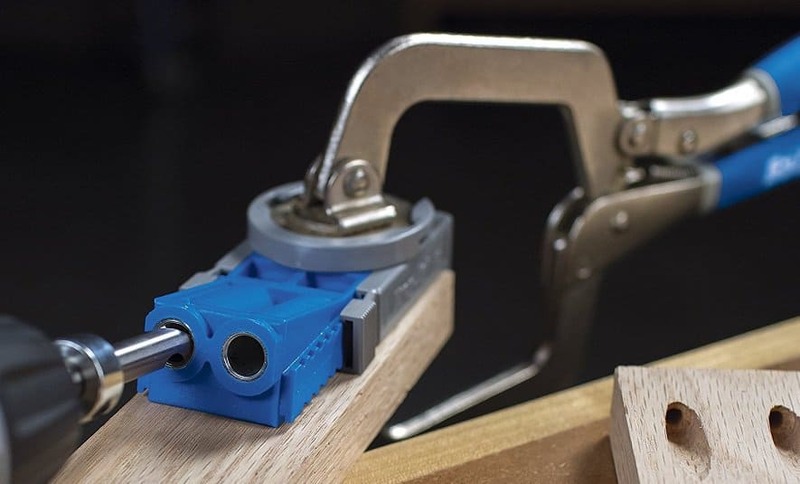 Despite the fact we look rather biased towards Kreg in this top 5 review round up, the simple truth is – these guys know what they are doing when it comes to quality jig systems. The Kreg R3 bundle makes our list because it does the job of creating and repairing screw joints so damn well. 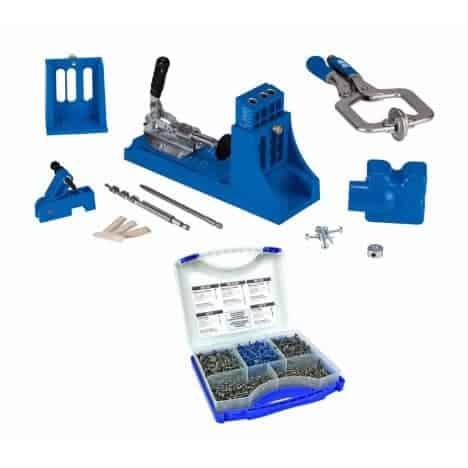 Comprising of the R3 pocket hole jig plus the Kreg KHC-PREMIUM Face Clamp, this is a system where everything you need to get going is provided. It is extremely portable too; whether you need to crawl under a table for some repair work, or are taking the system out to a job in the field, the kit is small enough to do the trick. The pack includes a drill and drive bits, depth collar with hex key, 5 sizes of pocket hole screws and the aforementioned clamp with pad adapter. To top it all off, Kreg even throw in a case to keep everything together ready for when you need it. Like the Kreg K4 jig, the tool has the capacity to adjust for materials between ½ inch to 1 ½ inches thick. It also features a solid metal drill guide. However, should you be concerned about the overall durability of the R3 jig system, Kreg provide an extremely generous lifetime warranty on the goods. Due to the fact the clamp isn’t built into the main tool, it can be awkward to keep your work piece in one place while drilling. Being a budget option, the build quality isn’t as good as our top pick K4MS. Another quality jig system from Kreg. The R3 and face clamp along with all the accessories make for a purchase that will have you up and running with ease. A simple to use system that comes highly recommended. Porter-Cable have taken a slightly different route when it comes to their pocket hole joinery system. 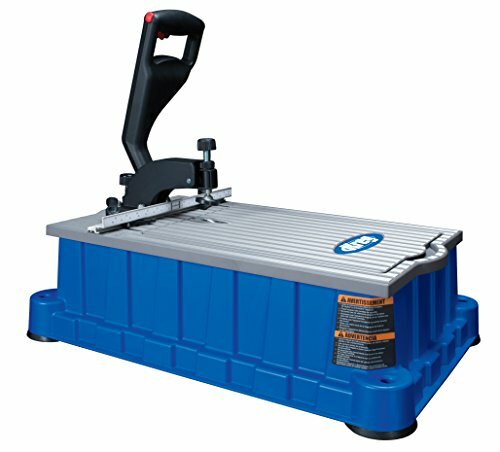 The QUIKJIG 560 is a premium, heavy-duty bench-top tool that packs in a wide range of features when compared to other systems available, (including the many offerings from Kreg). 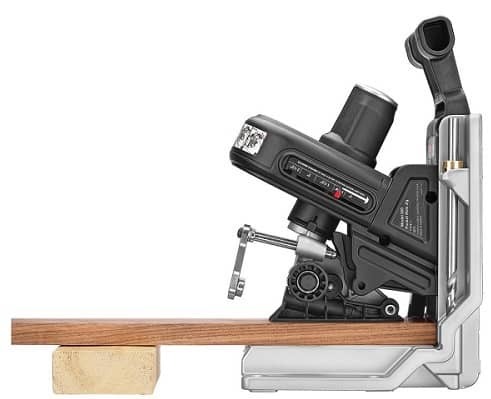 The Porter Cable marketing copy in relation to the 560 QuickJig goes as far to state that their solution ‘is revolutionizing pocket hole joinery’. A bold claim to say the least. Let’s take a closer look. The QuickJig really shines in its ability to produce accurate, repeatable pocket holes. ; all within an intuitive interface that is easy to use. The jig has been designed in a way that allows the operator to simply place the material in the unit, you the slide the guide mechanism into place before tightening everything into place for the drill. Adjusting for material depth and thickness is also straightforward. The tool features automatic gauges for increased accuracy; these automatically assist in setting the drill angle once the material is inserted. Furthermore, a screw-length gauge system actually suggests the sized fasteners you should use based on the thickness of the material you are using. Being a bench top tool you can only bring the material to the jig (rather than take the jig to the material), this clearly makes some jobs difficult. Some users expressed concern on the stop collar. It doesn’t feel strong enough to be fully tightened. The tool doesn’t ship with a designated storage case. 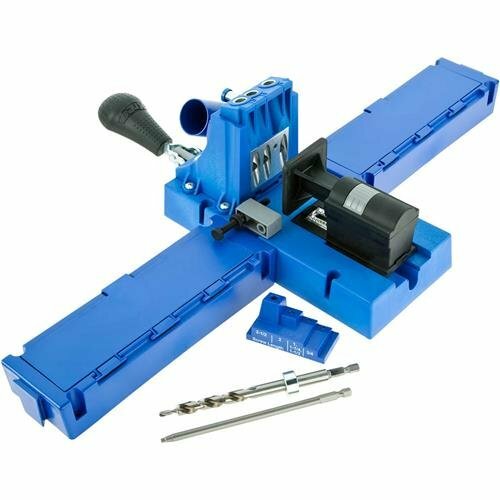 Porter-Cable have stepped up to give Kreg a run for their money with the QuickJig bench-top pocket-hole joinery system. With a bunch of great features, including auto-adjusting depth and thickness gauges, this really is an easy tool to use. More importantly the results are good too. Highly recommended. 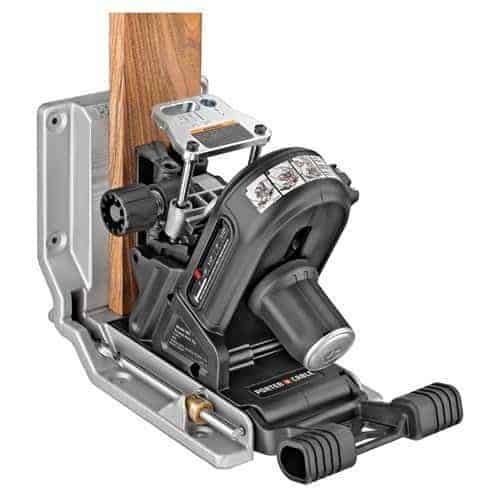 The General Tools 850 E Z Pro pocket hole jig kit is a no frills affair when compared to the automated features you get with the Porter-Cable QuickJig, however it is still a versatile tool with a lot to offer. The kit list is impressive with the jig coming with a 3/8-inch bit, drill step and 6-inch square drive bit. Considering the price of the tool, the build quality is more than adeqaute. General Tools have opted for heavy-duty aluminium extrusion and hardened steel bushings as part of the construction. The 850 E Z Pro is also designed for varying work place configurations. The built in clamping system means the tool can be used as a portable device, or a more permanent bench mounted setting. The kit comes complete with a series of square drive self tapping screws. 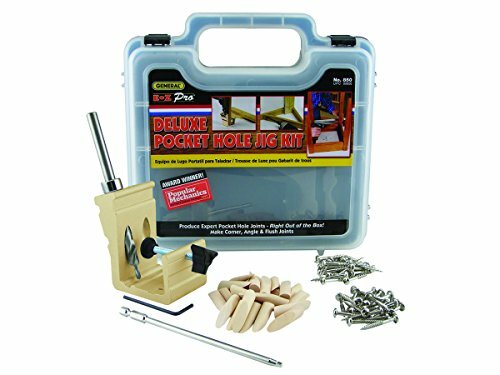 To help you complete a tidy finish, the pocket hole jig set contains the all important wooden pocket hole plugs. To make sure everything is safely stored when not in use General Tools provide a hard molded carrying case. Heavy-duty aluminum extrusion and hardened steel bushings. 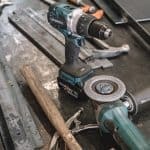 While not of the same standard as the top rated Kreg and Porter Cable in terms of design quality and built in features, this offering from General Tools does a good job of it. The kit comes with everything you need. 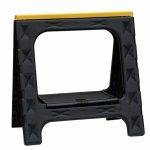 If you are on a budget, the 850 E Z Pro pocket hole jig is worth a look. Finally, yep you’ve guessed it, another Kreg has entered our top 5 review round up. This time in the guise of the Kreg K5 Pocket Hole Jig. So what does this variation offer above (or maybe below) all the others? Well right out of the bat we have the list features that can be reeled off with gusto. 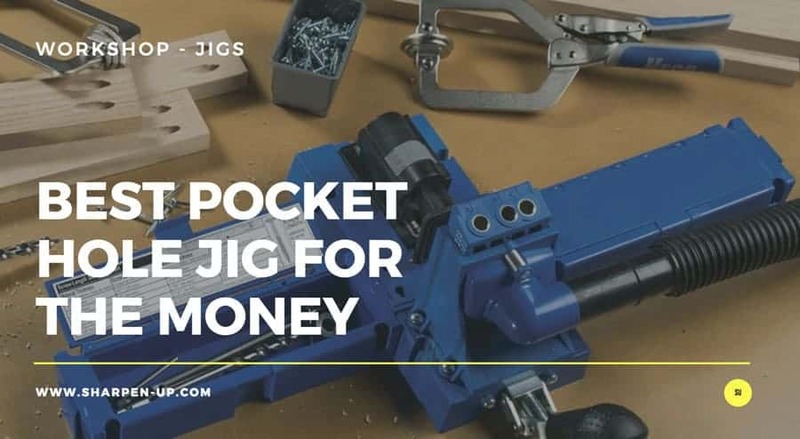 As one of the latest models to be released in the Kreg line of pocket hole jigs, the K5 has the benefit of the expertise gained from earlier tools in the range. A convenient front-mounted clamping handle is fitted as standard, and this is connected to a ratcheting clamp mechanism for easy adjustment. No tools or lock nuts are required here. The drill guide block is fitted via a quick release pin system designed in way that prevents any components getting lost. Another rather cool feature are the removable storage wings. The tool is able to provide safe storage for all your accessories, bits, screws and drills. A swiveling dust-collection port is fitted to help keep the work area clean as you create those neat little pocket screw joints. 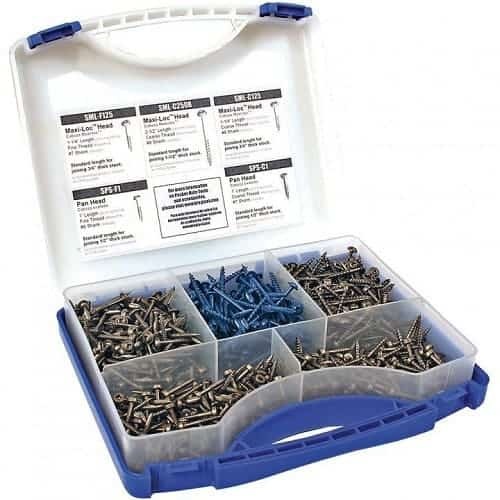 To top it all off, Kreg ship the kit with an adjustable workpiece stop, hex-shank drill and driver bits as well as a very useful screw-selection chart. The Kreg K5 is the premium pick within the already formidable line up of Kreg pocket hole jigs. With all those features and the superior Kreg build quality, how can you go wrong? If it wasn’t for the value for money that the Kreg K4 Master System and joinery kit bundle represent, this K5 option would have received our coveted top spot. Related Content: 6 of the Best Wood Chisels (Every Woodworker Should Own). As a special bonus review, we have taken an in depth look at the Kreg DB210, Foreman Pocket-Hole Machine. Designed for the professional woodworker in mind, (or home woodworkers that need faster results), the DB210 is a tool that helps you speed up and automate the creation of pocket screw joints. 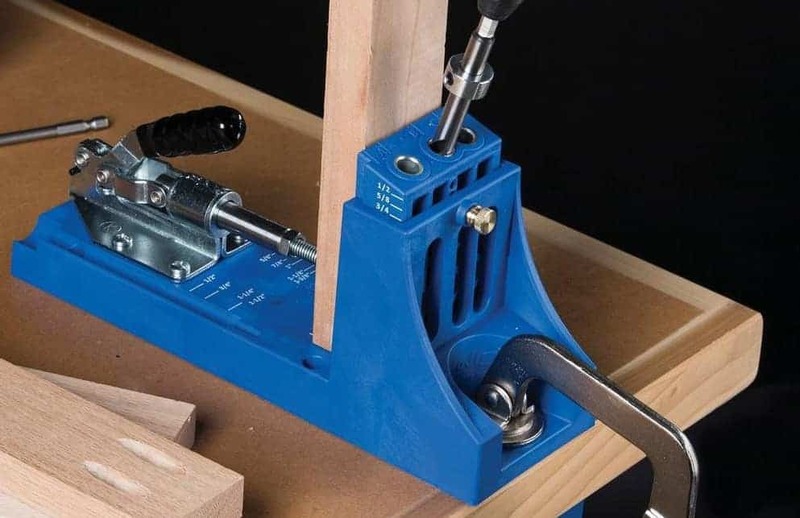 In fact Kreg state that the DB210 can result in pocket-hole joinery at twice the speed and half the effort when compared to standard pocket-hole jig use. Ease of use is a huge priority behind the design of this machine. Most of the action takes place with just one operator handle. With settings made, the work piece clamped in place and the motor started, you simply pull down that handle to drill those pocket holes. The tool features adjustable fence positions that hold the work material in place for precise pocket depth. The DB210 also features a pair of adjustable stops so that accuracy is maintained over repeated drills. Under the hood is powerful 110-volt motor. This does the necessary leg work, meaning you don’t have to. Fast drilling is at the root of the streamlined results you can achieve using the Kreg pocket hole machine. This is further enhanced via fast, tool-free bit changes. A worthwhile point to make is the fact the new Foreman DB210, replaces the earlier DB110 at a reduced price too. It is also the first Kreg pocket-hole machine that is capable of making the 3 main types of Kreg pocket holes. These are the Standard hole, Micro-PocketTM hole, and the Heavy Duty (HD) hole. Speed and versatility in one great package. With thickness settings limited to 1/2, 3/4, and 1 1/2 some pro users have stated that this is not versatile enough. 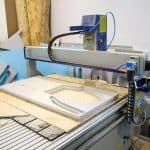 If you are in a situation where you are creating a lot of pocket hole joints, a machine such as the Kreg DB210 really is worth considering. The ease of use, the single step process and simple repeat accuracy will make this your go to tool of choice. Highly recommended.